Is there a crack in the glass showcase next to Scott's right shoulder? I hadn't noticed that. Shame to think it was cracked in transit. And that presents a dilemma. Does one replace the glass, or keep Houdini's original glass and seal the crack. 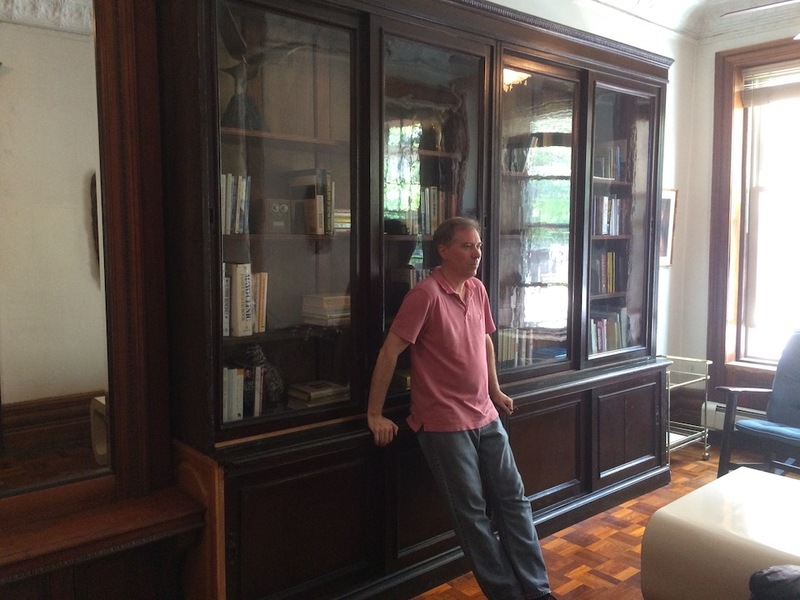 The first magician I saw posing in front of the bookcase was Eric Decamps. He must have been standing right in front of the crack since it was not visible. Then I saw the photo of Julie Eng posing at the bookcase and the crack was suddenly visible. I say cut a new piece. Not every single piece of Houdini item can be absolutely original. The USD is almost entirely a copy anyway. I saw one before Eric and before the books were in place and the crack was there. 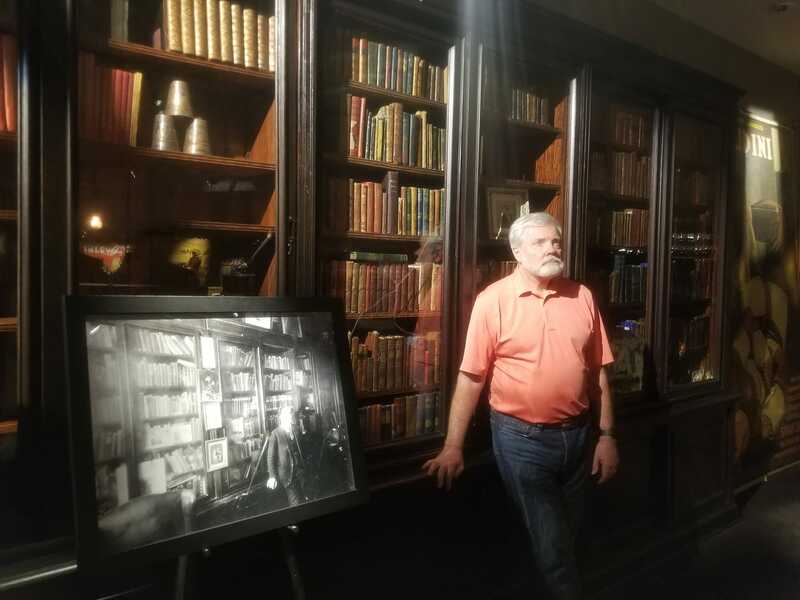 I seem to recall Chris Kenner mentioning that they were making an attempt to identify the actual books in the famed photo, and getting them reunited with their shelf to the greatest degree possible. That was the idea. Hopefully they accomplished this. But so many of HH's books went to the Library of Congress. I'll say one thing for sure: David Copperfield has certainly been both industrious and respectful at collecting the things Houdini used, owned, performed with and treasured. It is wonderful that these things survive, even if they survive in a private collection. So much is lost and destroyed as time goes by just because folks don't think they are important. I'm glad David Copperfield understands what is important and has the ability to acquire it as well as restore and display it properly. It is a legacy to the world of magic. Thanks, David! Thanks to you, John, for sharing these with the rest of us.